Shiny Beasts: Run, boy, run for the girl (she's running so fast)! Run, boy, run for the girl (she's running so fast)! 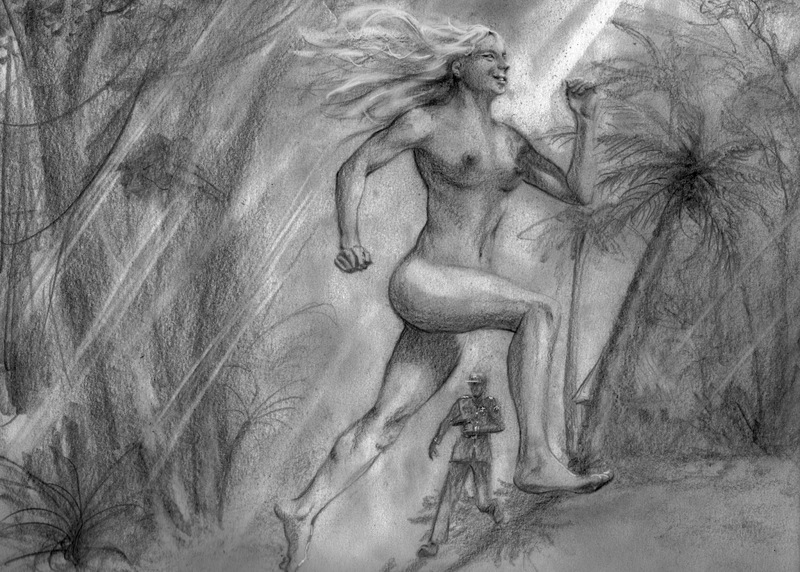 Description: a fair naked girl running in the magic half-light of the virgin forest, a soldier's trying to catch her (cos she's the enemy!) but she's running too fast and bouncing too high; but, but—what's in his left hand? Is he really going to shoot such a lovely girl...! ?